Treating Cancer With Frankincense or Other Essential Oils? Read this First | Nascent Naturals Inc. There is elevated interest in the supposed miraculous healing of cancer with frankincense oil which I believe is the result of documentaries and stories that are currently circulating on social media. I’ve had terminally ill people and their families and friends calling and asking my opinion. I hear the heartbreak and desperation in their voices but I do tell them that there is no definitive cure for cancer resulting from the use of frankincense. I won’t lead them astray or instill false hope. My focus in this writing is not to question the healing potential of frankincense or any other essential oils. I probably know more than most the fantastic results that can occur especially with this particular oil, however I am not going as far as to say that any of them are a cure. I’m not questioning any treatments and studies that are underway as alternative or co-treatment options which may be promising and effective. I’m not questioning those who have extensive training on the clinical use of essential oils with some medical training who are doing some great work with cancer patients. I’m also not questioning the novice use of essential oils to provide some general relief and improved quality of life via dilutions in baths, salts, sprays, and topical solutions with cream and lotion. What I am questioning and find very disturbing is the flippant flagrant use of oils by untrained, unqualified people on seriously ill cancer patients with the inference that it will cure them. Some of the advice is either useless or potentially dangerous, not to mention unethical or illegal. According to a growing number of sites, rubbing a pure form of the oil on your forehead, throat or putting it under your tongue can apparently lead to miraculous cures of serious cancers. To this I say, nonsense. Applying any pure essential oil to the skin or sensitive areas under the tongue is potentially irritating and can cause more cellular damage depending on the state of health of the person, type of cancer and other treatments administered. It may also have very little positive effect in relation to the risk. Others are indicating that injecting the oil directly into tumours will stop progression or even kill the cancer cells. While studies are promising it is still far off to be testing on people. Even if you could find a qualified doctor in North America to do an injection, it is still a risky venture as this method is highly experimental. The doctor could likely lose their license and who knows what could happen to the patient. Another questionable method of treatment involves ingesting significant amounts of the pure oil. This is ill advised as ingesting large amounts of any essential oil is risky even for a healthy person much less some one who is very ill. All essential oils are comprised solely of chemicals. Even though they are naturally occurring, they can still be harmful on delicate tissue in the mouth, esophagus and stomach lining. To add to this, there are no vitamins, proteins, enzymes or other nutrients that the body may utilize. When ingesting large volumes of oils, it also increases stress on the liver. Many who have contacted me actually have liver cancer. In the case of resinous oils such as this one, general safety precautions state that these oils are not to be ingested under any circumstances due to potential presence of solvents left over from the extraction process. See more info below on chemistry and adulteration of frankincense to further support that internal use may be a bad idea. 1. What is the general state of health of the patient? 2. Are they or have they been receiving chemo and or radiation? 3. Are there other complicating factors to consider before treatment is attempted? 4. What is the patient’s expectations or realistic outcome of the treatment? 5. What is your particular experience and education with essential oils? 6. What is your knowledge base of the human anatomy and physiology? 7. Do you understand the pathology of illnesses like cancer and the potential interaction with essential oils? 8. 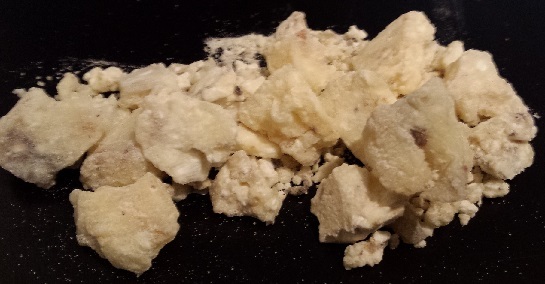 What type and source of frankincense are you using? (see below). In addition, being a doctor or other healthcare professional does not mean you are qualified (legally and medically) to treat with essential oils. Independent training with essential oils is still required. Be realistic. If you have no clinical work experience, get some by taking advanced courses, training and spending hours in clinical settings. It will be an eye opener and may have you rethink or realize what you have been spouting to ill subjects is grossly inaccurate or ill informed. I know this as I worked with cancer patients for years. For me it was rewarding, emotionally exhausting and certainly not for the faint of heart. Now there are many ways to support and help someone who has cancer such as relaxation, protection from radiation burns, soothing nausea, inducing sleep, boosting immune system plus healing support for the skin post-op. However, to claim a “cure” or advise usage in place of other viable treatments especially when you have limited or no training in essential oils with no medical background is obscene not to mention illegal; which can also leave you open to lawsuits and defamation. Your career could be over before it really gets started. There is a great responsibility and a weight on one’s shoulders for which many are completely unprepared when venturing into these situations. I’ve seen some pretty ridiculous situations over the years including those who lay claim to powerful healing stories yet didn’t even know what side the liver is on or what the basic function of the lymph system entails. To add insult, many of these people who are spreading this info and providing advice don’t even work in the field. Their day jobs are working in an office, construction or something else completely unrelated. Why would you value their opinions on such critical matters? I wouldn’t trust these people to make a bathroom spray much less advise or treat someone with cancer. 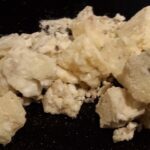 There are also many vague stories of those who have a “friend” or family member that they have treated successfully with frankincense to gain one’s confidence. These are suspicious as there is usually very little details or verified documentation. The person treated never seems to come forward with proof that the illness was genuine and that nothing other than the frankincense was administered as part of the miracle cure. There may be some anecdotal stories of some success but they should not be used to justify future treatment solutions or to convince someone that you can heal them. I find this sort of thing offensive as it can provide false hope to people who are dealing with this terrible disease. It also casts a shadow over the natural health industry and a discredit to reputations and progress of well-trained therapists, scientists and medical personnel who are making a difference all over the world with valid research and treatments. Whatever your personal thoughts or opinions are on cancer treatment options; they must be put aside to respect one’s decisions. Put yourself in their place and try to understand what they are experiencing. How would you feel if some raving unqualified person who’s day job is an accountant, approached you with some “miracle cure” of frankincense or anything else, and told you to just rub some on your forehead, throat and put some under the tongue? I know how I would feel and I know what I would say, but it isn’t fit for print. These are situations where a small amount of information can be dangerous; and it requires a lot more knowledge to realize this. In my career I have worked in clinical settings with cancer, A.I.D.S, palliative care and many other serious conditions and wish I knew then what I know now. As Einstein once said ” Good judgement comes from experience. Experience comes from bad judgement” Please don’t explore this with cancer patients. Since the focus is on frankincense as the wonder healing oil, here are some facts to consider. 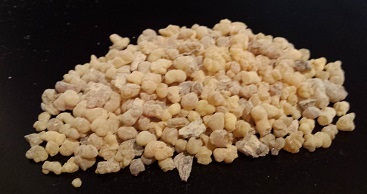 There are several species of frankincense, a.k.a. olibanum, but some of the common ones include boswellia carteri (sacra), b. frareana, b. serrata. Some of the main source countries include India, Oman, Somalia and Ethiopia although it can be found anywhere in the tropics including the Caribbean. While they are all part of the Burseracea family, and share some common constituents; they are all chemically different. All of these species can be processed differently to produce different chemistry in the extract or essential oil. The methods of extraction include distillation to produce an essential oil; CO2 or solvent for what qualifies as an extract. A critical bit of information regarding the healing properties of frankincense revolves around the chemical constituent boswellic acid. This is a rare chemical which can’t be easily synthesized and mostly found in the resin of these valuable trees. It’s also the focus of many studies and highly touted as the main reason for the apparent effectiveness of frankincense in many cancer treatments. It is a non-volatile element which can’t be extracted via distillation as the heat will cause massive degradation and the molecular structure is to heavy. Therefore it is not found in any appreciable amounts within the essential oil, only an extracted form. So let’s think about that for a moment. Given that most of the frankincense worldwide used in therapeutic practice and studies is of the essential oil type, most of the studies are already flawed because this element is missing. A few other points about frankincense oil to consider; it is popularized because it was apparently one of the gifts bestowed upon baby Jesus. This could not have been a frankincense essential oil as distillation was not discovered or used as a viable extraction method till about 800 years later. The upside is he probably received an extracted substance that possessed the most healing properties. Frankincense is one of the more expensive and coveted oils / extracts worldwide, more so now than ever. It is also in low supply. This increases the temptation on the part of suppliers and brokers to adulterate the oil to increase inventory. While no stats are available, many brokers I have spoken to speculate that a significant amount of the world supply has been diluted, adulterated or tampered with in some way. So, to summarize, in addition to not knowing the basic chemistry of the frankincense you are using which may be void of the most coveted chemicals effective to treat cancer, it may also be adulterated with hazardous chemicals or solvents. Are you really going to tell a very ill person to swallow an oil which may be adulterated? You need some education and expertise just to buy a good quality! At any time I could easily double my sales of any of this precious oil to desperate yet caring and unsuspecting people, but as soon as I hear that they want it for cancer treatment, I advise further info and research instead of boosting sales. This aspect of what I do is not about the money but advising carefully and to do no harm. Dangerous medical personnel who lack essential oil training yet lead patients to a false sense of credibility because of their other qualifications and credentials. If you are a person faced with cancer or have a loved one who is, and want to help, please do some more research on this subject. Find people who do have qualifications; with clinical, medical and essential oil experience to provide support. Make sure it is and has been their full time chosen profession for many years; and check out their backgrounds carefully. There are a lot of “superstar” healers on social media with suspect credentials and exaggerated stories of success that are more likely to blow fragrant smoke than deliver some real results. Thanks for sharing and your questions / inquiries on this subject. I appreciate this because you want to do what is right for clients and patients. People like you are the inspiration for me to write on these topics! You’re welcome Theresa! Thanks for serving on the front lines of our medical system.